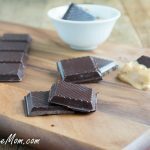 Sugar-Free Dark Chocolate Candy Bars are perfect for those with allergies and very easy to make at home! See those two little squares of chocolate just waiting to be bitten?? These little squares of deliciousness are completely sugar-free! They have only 118 calories in those two pieces, 2 grams of protein and fiber!! 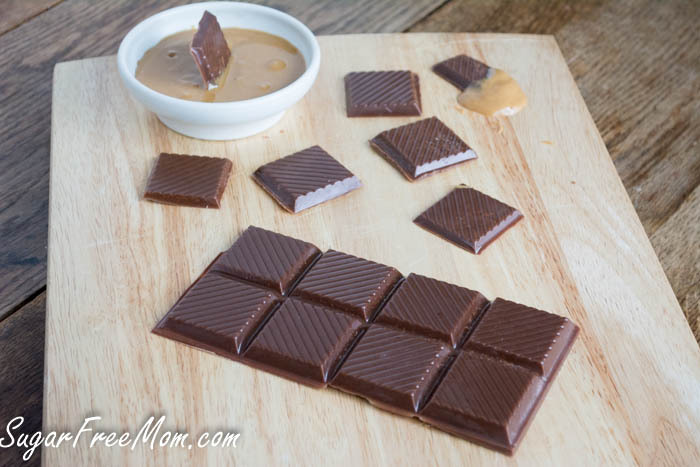 Making your own candy at home is simple, affordable and not to mention so versatile!! Add in’s are endless! Most, if not all, store bought chocolate and candy today has sugar in some form and preservatives in it. There are about two brands at Whole Foods that are sweetened with stevia and taste great, but very expensive. One 3 oz bar I found was $6.99!! Much cheaper to make your own is what I say, don’t you think? But besides the cost of buying healthier chocolate at stores let’s talk about cravings shall we?! Giving in to chocolate cravings can be the biggest downfall when it comes to practicing a healthy lifestyle and/or trying to lose weight. But not indulging in chocolate just because you might lead a sugar free way of life or think you can’t possibly have it now that you need to lose weight, could put someone into depression! The key factor here is not so much enjoying chocolate, but it’s about the kind you are enjoying . If you are indulging in typical white sugar filled, preservative filled store bought candy bars then yes, the sugar in them causes cravings for more. 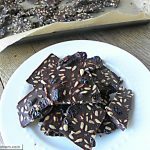 But when you choose to make candy bars at home and use healthier ingredients and sugar free alternatives, your body will be satisfied, won’t have that typical spike in blood sugar and it certainly won’t make you crash after eating any. No spike in blood sugar means you won’t be craving more and more after indulging in a few pieces. 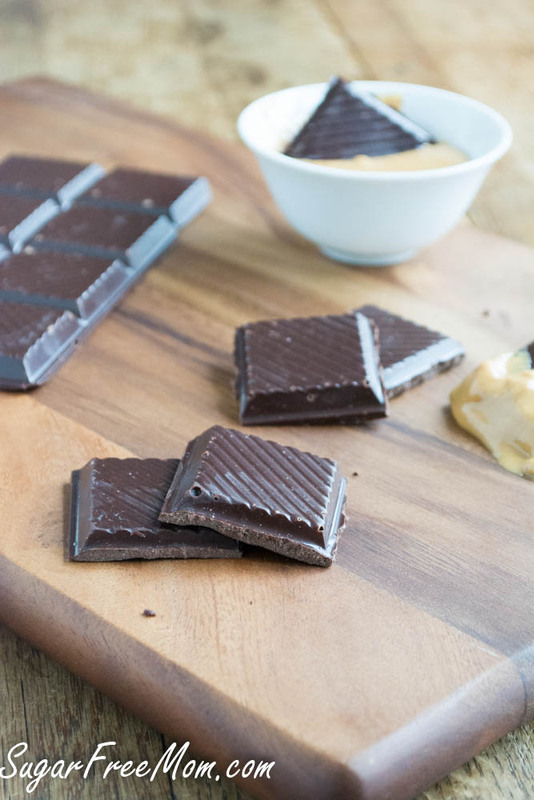 With just a few ingredients and a candy bar mold, you’ll be enjoying your creation to curb your sweet tooth which of course will help you keep on focus with your healthy eating track! 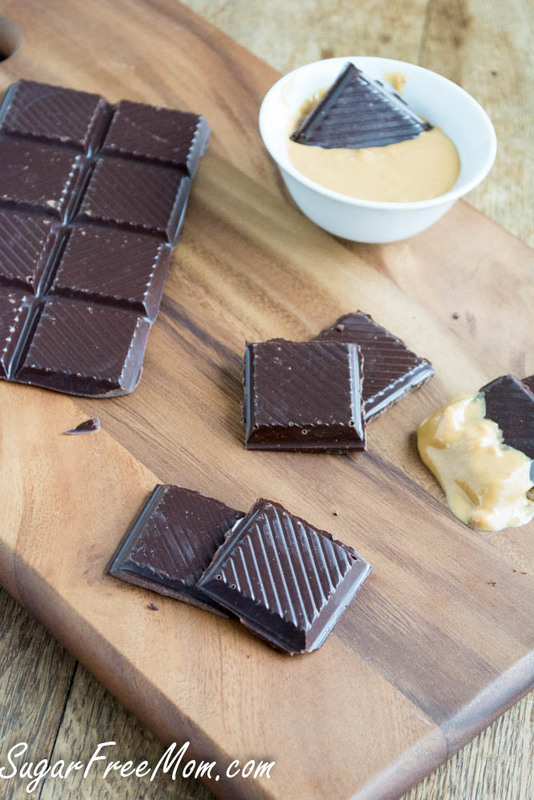 If you’re not a fan of dark chocolate or need a dairy free option this candy bar is made with coconut butter, you can tell by the lighter color than the chocolate bars at the top of the post. This recipe is exactly the one I used for making my No Bake Chocolate Coconut Butter Bunnies last year for Easter! 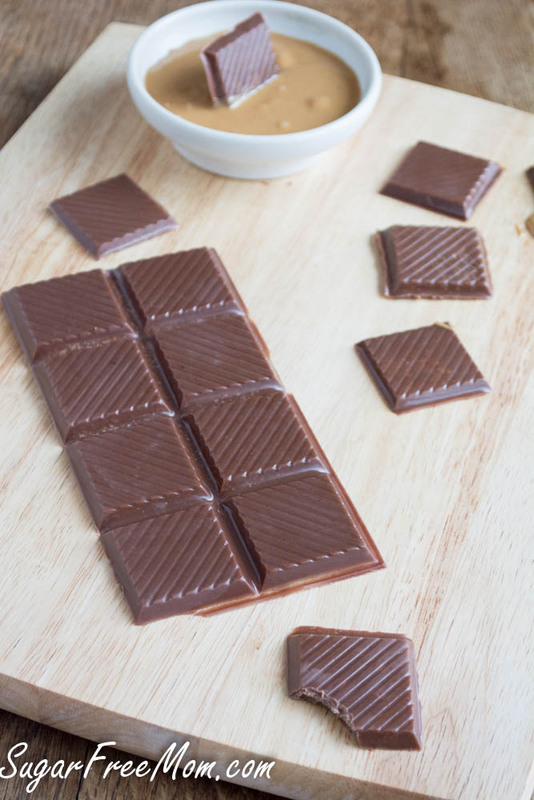 Just melt and pour into candy bar molds. 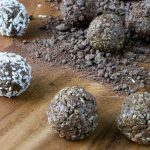 I honestly don’t think it has a coconut flavor because the chocolate flavor is more prominent, but you can be the judge as this takes literally less than 5 minutes to make and 30 minutes or so to harden. You can use whatever milk of choice you like although I have only tried it using 1% dairy milk. For a dairy free option I would suggest unsweetened almond milk or coconut milk. 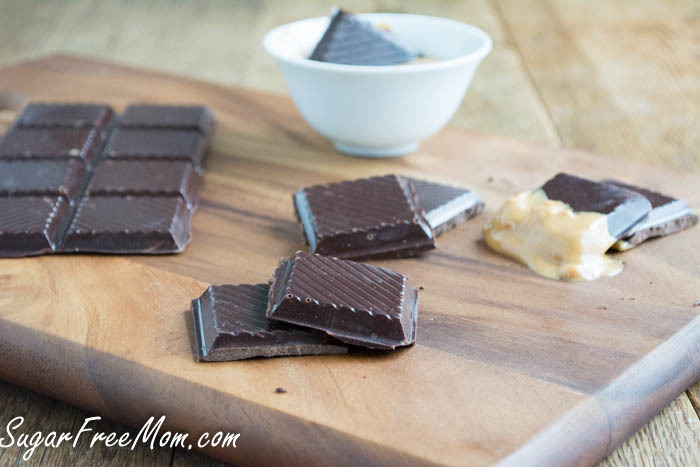 To make the coconut butter bars, just follow this recipe for my No Bake Chocolate Coconut Butter Bunnies and pour into candy bar molds. The powdered stevia you see below is not the pure extract, it is a Sweetleaf powdered stevia that has added fiber. Please click the link to see the brand. Melt all ingredients in a sauce pan over low heat on the stove until completely smooth. Pour into candy mold and refrigerate or freeze until hardened. Love your blog ! Thank you for sharing ! Let me know how you like it Leigh Anne! 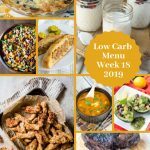 This looks really good and I am definitely going to make it but wondering about the powdered stevia. That seems like a lot but maybe it’s the right amount? I assume this is pure powdered Stevia extract (I have NOW brand here) and not something like Truvia, right? It is so concentrated, that it looks like 1 1/2 Tablespoons would be a lot…. thanks!! 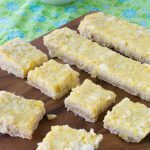 The powdered stevia pure extract, is the right amount and is linked directly to the one used in this recipe. It appears that the one used & linked into the recipe is a blend with inulin. It states that 2 Tablespoons = 1 Cup sugar on that link. You’d have to do the math with whatever equivalency applies to your product. I have Kal stevia extract (only ingredient is stevia) & I will be researching the equivalency before making this recipe, which looks mighty delicious by the way. This looks so good. I wish I had some now. Hahaha, actually just some smooth Trader Joes Peanut Butter! Thank you for your generosity in sharing your expertise. I enjoy your recipes, and have tried several with more to go. HI Edna, I would suggest just increasing the liquid stevia to 4 teaspoons. Thank you! You are so sweet worrying about bothering me, it’s no problem at all! You could purchase online for the brands I use, but you could still use granulated. Your chocolate looks even more tempting than those in the shop. Maybe I should give this recipe a try! I am fairly new to using coconut oil, so am loving all the new recipes with this ingredient. Can’t wait to try this one. Has anyone tried adding chopped nuts to this recipe? Would like to know if it works. It’s a fairly new recipe but I think you could certainly do that and maybe sprinkle them in before you pour the chocolate into the mold. My boys are allergic to nuts. I just want to know, i see you use cocomut butter and oil a lot, but it is very high in saturated fat, is that not unhealthy? And is there no healthy plant oil alternatives one can use, for example the Sugar-Free Dark Chocolate Candy Bars ? “Because of its high saturated fat content it is slow to oxidize and, thus, resistant to rancidification, lasting up to two years without spoiling. Love your recipes overall, all the way here from South-Africa. I just found your website and the recipes seem great! I just tried the chocolate candy bar recipe as I am craving treats so badly and can’t have them. However, I found the final product to be quite bitter. Did I do something wrong? Are there any parts I might change? I used almond milk. I can’t link your powdered stevia as I wanted to see if I used the same, but I think I used the right product. Thanks. I too found this recipe to be very, very bitter. In fact, I had to spit it out. I am use to the taste and baking with stevia. I used KAL brand pure stevia and Sweet Leaf liquid stevia. I wonder if the 1 1/2 Tablespoons is just too much. I felt as thought my Dagoba chocolate was wasted. Wanting to save the product, I reheated it, added homemade sweetened condensed coconut milk and homemade coconut milk caramel sauce and some yacon syurp. I then added some roasted salted cashews. I put it on a cookie sheet, spread it out, sprinkled on some Enjoy Life mini chips and put it in the refrigerator. Two hours later I took a taste and found it to be much less bitter and something I will be able to eat. 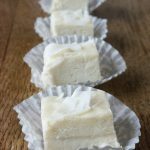 I will probably try your recipe again using only the brand products you used, but with the cost of them, I will use much less powdered stevia. Thanks for all you do to provide sugar free recipes to all of us. I can not get the link to work for your brand of powdered stevia. Which brand do you use? Thanks. I just checked and fixed the link so it should be all set now, it is the Sweetleaf brand in the green canister. I’ve never used Kal sweetener for stevia and not sure how sweet or not sweet it is. I truly has seen just in using NuNaturals and Sweetleaf a big difference in sweetness. The bitterness would not be because too much was used, it is often that not enough is used. I’m sorry with all that happened but happy you could still salvage it. I’ve made the recipe twice since I’ve posted it and had no problems, but I like the taste of a dark chocolate. I will try it with a different brand of powdered stevia, I have one form Trader Joes I can try and will post the update. Thanks Brenda for your feedback. I was not aware of the bitterness of stevia in relationship to how much or how little is used. I will keep that in mind next time I use the KAL brand. I usually use Sweetleaf but was out and had the KAL in the pantry. I too love dark chocolate so that was not the bitterness I was tasting. Next shopping trip I will get more Sweetleaf, and try the recipe again. Thanks for your help. Brenda, I just have powdered stevia and was wondering if I could use all powdered? If so how much would i use of the powdered to replace the liquid? Thanks for your post and time! If it is pure powdered extract without fillers I would only use 2 teaspoons, if it is a stevia baking blend then you could use 2 tablespoons. Just add some a little at a time once melted and before refrigeration to harden and adjust as needed. Can I use Agave Syrup instead of the Stevia? Also, will adding a bit of Polydextrose help at all & how much? A teaspoon? You can certainly use agave although I don’t use it so not sure how sweet it is. Maybe try 1/4 cup and taste the mixture before it hardens. These are amazing. I’m someone who appreciates a subtler taste and these are rich without being too sweet. I used almond milk and also xylitol instead of stevia. Nice if eaten when still soft. This is a good recipe! I made some small changes based on what we had a round but we *loved* it. Is the unsweetened cacao in powder form or is it a bar? How would you store it after it is done? Does it HAVE to keep in the fridge? Used this the first time 2 weeks ago, have made it at least 4 times since! I do paleo so this works for me! And I love dark chocolate, so it Really WORKS for me. 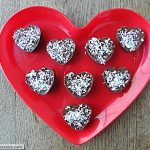 I remelt to coat coconut candies, use it in bullet proof coffee for a mocha, and just eat it! Can I use Splenda instead of stevia. It’s what I have in the house. HI. My consistency is definately not pourable. It is goopy. What am I doing wrong? I used 1/2 cup chocolate, 4 oz by measure, should I weigh it instead? Yes weighing it would have been the best thing to do. What brand of powdered stevia did you use? Each brand of stevia differs in sweetness. If it was bitter to you then you needed more sweetener. Hi this is my first time on this site. My question is: is there something I could sub the coconut oil for? its just too expensive where I live. Brenda, I too wonder whether there is something I could substitute for the coconut oil. I ingested some of it a couple of times, & it caused me SEVERE abdominal cramps that doubled me over in pain, as well as some very unpleasant intestinal side effects. 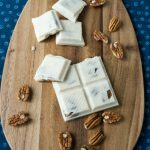 I was so excited about this recipe after the Simply Lite brand at Trader Joe’s added milk powder to their sugar free chocolate bar. 🙁 So I tried this recipe last night, and it didn’t turn out well at all. It was not pourable and it tasted really bitter. I do like dark chocolate so I’m used to less sweetness, but this was really bad. That liquid vanilla stevia was over $11.00 for a tiny bottle, and I hate wasting it. What do you suggest? Just made this, and they are really good. I was going to offer the same suggestion– taste it while it’s in the pot- only the consistency will change, not the taste. If you don’t like it, add more sweetener. I ended up adding a bit more. I like xylitol, so I had some liquid stevia drops, swelter packets, and added more xylitol at the end. I used ghee and coconut oil. I did make a mistake at the end, and after it was melted and half poured, tried to add a little more (cold) cashew milk, and it seized a bit (but still good- just grainier) so I would recommend putting all ingredients in to melt, tasting frequently, and not adding liquid to the melted mixture. God bless you! My daughter has severe reactive hypoglycemia, and although she’s an adult, it’s been such a traumatic time for for last year’s that I try to find little ways to cheer her up. Store-bought sugar-free candy contain so many sugar alcohols, in addition to sugar substitutes, that the intestinal side effects outweigh the indulgence. Your recipe is not only super straight-forward, but it sounds so quick and easy! Thank you soooooo much! Thank you! I hope she loves it! 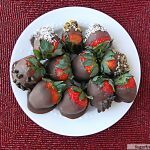 Can you use cocoa powder instead of cacao bar? I’ve not tried it subbing that sorry. I have tried it with cocoa powder, adding some more milk, coconut oil, and even honey. The texture reminded me of soft play dough, but for myself I’m fine with this as I have made some delicious snacks out of this “fudge” by using this recipe as base! Do you know the purpose of salt in the recipe? It helps balance out the sweetness. You can leave it out if you prefer. Straight into the trash it went. I guess you shouldn’t try to substitute any ingredient. I used Ghirardelli 100% cocoa bars and it turned into a grainy looking goop and all the fat separated out. I think you need to revisit the recipe and provide more info. If it was grainy that usually means it was on too high of heat. I will work on a video I think to demonstrate it. Sorry you had to throw it out. I am thinking this might be a nice idea to mix with my sugar free pancake syrup. Maybe skip the cinnamon next time and just try the bar of baking chocolate and oil, and add the syrup super quick to taste, before i accidentally have a chance to overheat it. I really think using the liquid version sweetener would have helped me too. Ok it didnt take long to solidify well in the freezer so that’s reassuring. It tasted great and didnt feel like a weird texture when consuming it. I could not taste the cimmamon at all so idk if i would bother adding at all next time. I did omit the salt this first try as well. Not a fan of salty chocolates. Curious how this would taste with peanut butter mixed in as well. But right now all i was seeking was a plain chunk of chocolate that wouldnt interefere much with a gestational diabetes issue. Diabetes runs in my family, though and when at the store.. i DID find a bar of sugar free from a very good brand, but was bothered as usual by the processed food phenomenon of “whats that ingredient? And that one and that one?” So next time… i won’t heat it on as high a heat and will try simpler version. The fat did not separate out in mine. I am wondering how you determined how much oil to put in? Mine just tasted horrible. I have the same exact sweeteners, but it was still horrible. I’m keto so I’m use to bitter, and I’m use to not having sugar… this was awful. I even added more gradually till I ended up with about double what the recipe called for. Just horrible. Wasted all that product. Guess I’ll just stick with Lily’s. Regarding these bars, once made, do they have to be stored in the refrigerator/freezer, or will they soften at room temperature. Also, could xylitol be used in place of stevia…love to experiment, so just wondering about different possibilities. I’m sure you could use xylitol, not sure how fine it is so hopefully it wouldn’t give a grainy texture to the bars. I kept mine refrigerated. I wish I’d read through the comments before making this. I substituted plain Trader Joe’s liquid stevia for the Sweetleaf vanilla liquid stevia. Otherwise, I followed all ingredients and instructions exactly, but it turned out grainy and bitter. I then added a drop of peppermint essential oil hoping to redeem to a better flavor, but it was no help. It might be super helpful if the recipe instructions indicated clearly to use no substitutions for brands or types of stevia. where can i find these moulds? Has anyone ACTUALLY made this recipe? 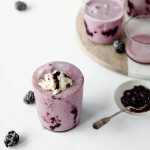 I was interested in making this recipe, but when I got to read it, I saw there is a MASSIVE amount of stevia in it! Only 1/32 tsp is required to get the sweetness of 1 tsp sugar. This recipe has 5 1/2 tsp of stevia. That is equivalent to approximately 11 cups of sugar! Thus, each serving will contain an approximate equivalent to 1 1/3 cups of sugar! Testing recipes and proofreading your blog entries before posting can help people at home prevent wasting a LOT of expensive ingredients. There are many different kinds of stevia. In this version I used powdered stevia that has added fiber and it does not have an aftertaste as the pure extract does. You can click the link to see the brand I used. The liquid stevia is also not as sweet as using pure stevia extract. 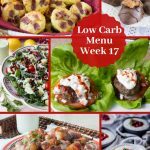 My recipe plug in had a glitch and converted all serving sizes to 1gram, which I am nasally trying to fix but haven’t gotten to all my recipes which is 6 years in the making, over 700 now. The serving is for 2 pieces. This looks so good and easy! Do you think adding some type of nut would turn out good? Say an almond or walnuts? I am going to try your recipe and also add a nut or two.